Based on the title of this post, one can only assume mom was giving Santa a smooch because she received one of today’s lovely little gift ideas. Although these Christmas gift ideas for mom are geared toward a slightly more mature woman, that doesn’t mean you won’t just as easily find some ideas for any lady on your list. In general, I feel like mom gifts should be a little more luxe. By this point, your mom should have a pretty defined sense of style and will likely gravitate toward higher qualities fabrics and finishes. These gift ideas reflect that general concept. 7 things I love about this gift idea. 1: It comes from a Canadian brand, based in Halifax. 2: The fragrances are made with natural essential oils and are actually vegan. 3: Those essential oils come from fair trade dealings between The 7 Virtues and developing nations like Afghanistan and Haiti. 4: This gift set features not one, but four distinct fragrances. 5: You can mix and match the fragrances to create your own signature scent. 6: Despite their exotic origins, the scents are actually made right here in Canada. 7: It’s easily and widely available…and it’ll make you feel damn good once you open it. Every woman needs a little sparkle in her life, especially during the holidays. U.S. brand R.J. Graziano has a pretty spectacular and frequently updated collection of on-trend pieces that suit women of all ages. What I particularly dig about the line is the fact each piece has at least two special qualities – nothing is overtly simplistic. Every item makes a statement, but it doesn’t scream it. 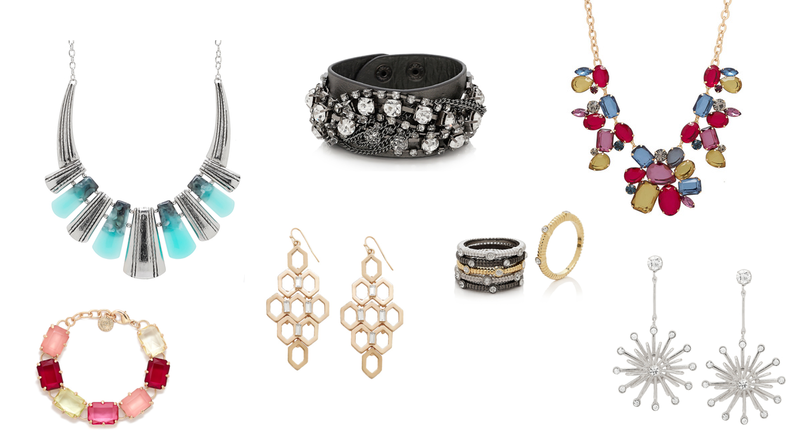 From stacks of bangles to chandelier earrings to glittering bib necklaces to complementary sets, there is literally something for every mom, and at this price point, you won’t be breaking the bank for a little bling. 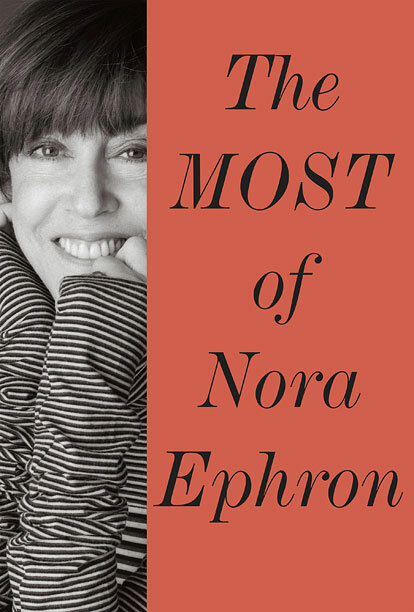 Many moms have grown up laughing alongside rom com queen Nora Ephron’s works – from classics like When Harry Met Sally and Sleepless in Seattle to more modern fare like Julie & Julia, her screenplays (along with her expansive collection of essays, articles and books) have been winning the hearts and minds of critics and the masses alike for decades. This post-houmus release is a wonderful collection for anyone that loved Ephron’s wit and writing style. It includes a full novel, the entire When Harry Met Sally screenplay, a stage script, plus dozens of other pieces of content ranging from 1970s news articles to more recent blog posts. The book serves as a wonderful reminder of Ephron’s vast, approachable talent – but it’s also got a warm, thoughtful feel to it. Mom will love to pick this up and read a snippet or two, and walk away feeling like she’s had tea with an old friend. Buying cosmetics for moms can be tricky; they tend to have very defined preferences and products by the time you’re old enough to splurge on something worthy of their beauty collection. 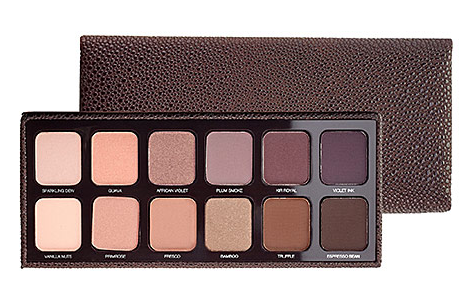 That being said, I find it hard to believe any woman would turn down this stunning palette, housed in a pebbled, faux-leather case that makes it perfect for travel. The shades range from shimmery champagnes through to liner-worthy chocolate browns, with plenty of pretty pinks and plums in between. Although suited for any skin tone, these shades will really pop on hazel and brown-eyed beauties. They say beauty is ‘skin deep’, but what if the opposite were true? What if it’s what you put into (or on) your body that actually allows beauty to quite literally radiate from within? That’s the crux of Scott-Vincent Borba’s new ‘recipe’ book, which looks at everyday ingredients and how they can combined in recipes that provide nutritional benefits for your face, body, and hair. Not only does he look at make you over from the inside out, he also notes how increasing your intake of certain vitamins or nutrients, or repurposing your pantry ingredients for beauty application, can help reverse the signs of aging while also increasing your general peppiness. An excellent choice for the DIY mom that wouldn’t mind shaving off a few of those worry lines she’s developed from raising you. This year, La Vie En Rose has a truly dazzling array of fabrics to choose from. Suddenly it’s not just about what you’re slipping on to sleep in, but how they feel against your skin. Having had the opportunity to peruse their fabric assortment, I have to say that one of my favourite finishes is the Brushed Back Satin, which feels silky smooth on the outside but cottony soft on the inside – perfect for those that love the feel of satin but not the slippery texture. It’s rendered beautifully in these loungewear-inspired PJs, featuring a belted top and matching pant, both of which are trimmed with contrast satin piping. A lovely choice to help mom channel Lifestyles of the Rich & Famous. As you get older, your skin experiences decreased cell renewal, leading to drier, more parched skin. The good news is, this degeneration in skin elasticity and moisture simply means you’ve got to spend a few more minutes per day lavishing your epidermis with some love. Cult spa brand bliss has released an awesome, limited-edition gift set that contains three of their signature, ultra-nourishing body butters in Grapefruit + Aloe, Lemon + Sage, and Blood Orange + White Pepper. Not only do they smell all kinds of heavenly, they’ll soften your skin and help you to lock in moisture when battling the winter breeze. An excellent choice for the mom that deserves a break. A home chef is only as good as their cookware. If mom’s still banging around the tarnished pots and pans she received as wedding gifts, she’s definitely overdue for a new set. Woll cookware is a German brand, that promises a genuine attention to detail and quality – after all their products are handmade in an independent workshop, and not mass produced. The sturdy plastic handle and thick aluminum cast alloy makes for easy handling and even cooking, while the huge range of sizes – from pint-sized sauce pans to big soup pots – makes it a snap to outfit your kitchen. Meanwhile, believe it or not, but the surface of each pan actually contains over 200,000 real diamond crystals, giving you the excuse to buy mom the ‘diamond’ she’s always wanted. Cycling is becoming an increasingly popular form of transportation, thanks to a renewed government commitment in most major cities to increase bike paths and lanes into downtown areas to cut down on the gridlock. So, while the above bags may simply look like very pretty totes, they are in fact actually a perfect accessory for the chic two-wheelin’ lady in your life. Big enough to stash a helmet but also to double up as a purse for your everyday, a lunch bag for a park picnic, or a tote bag to drop off your library books, these gorgeous bags combine function and fashion. Made of vegan-friendly materials, this nifty bag works fine as an handbag or cross-body bag, but it also attaches nicely to your bike. A personal favourite function of mine is the ‘easy find’ clip where you can attach your bike lock keys or house keys so you never have to fumble around ago. A wonderful option for the mom that hops on her bike to cycle to work, the grocery store, or to visit friends. Sweet, sweet, sweet! 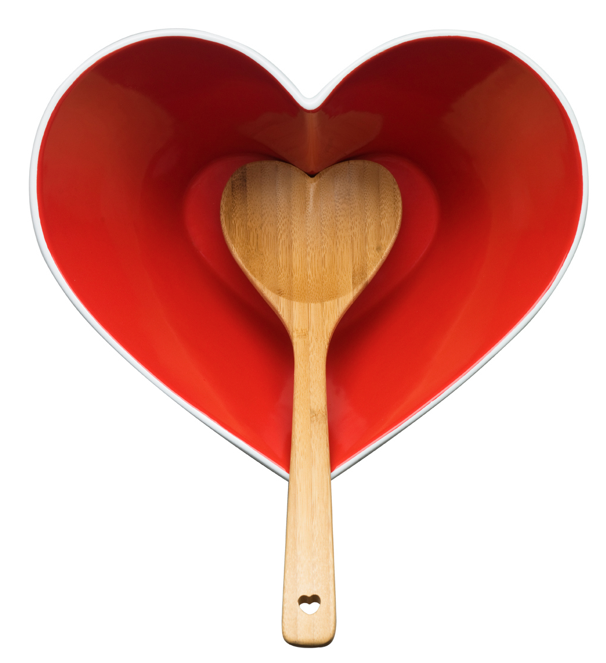 That’s all there really is to say about this heart-shaped bowl and mixing spoon set, perfect for the mom that loves to get busy in the kitchen (or host friends on the weekends). This adorable stoneware bowl is sturdy enough for any mixmaster project, yet looks absolutely lovely when set out on the table and filled with homemade caramel corn or roasted nuts over the holidays. The price should leave you enough room in the budget to splurge on a few high-end baking accoutrements as well. 1) Tell me in the comments below: which of these amazing gift ideas would you most like to gift or get? You have till December 4th to leave your comment. 2) Entries are limited to one per person / per email address / per household (or more if you score bonus entries). A random draw will be conducted on or around December 5th to select the winners, who will have 48 hours to respond before another winner is chosen in their place. R.J. Graziano – Like R.J. Graziano Jewelry on Facebook, leave a comment about why you’d love to wear the brand’s pieces, leave a comment with a link back to your post below. GiveLoveCycle – Follow @GiveLoveCycle on Twitter, send out a Tweet that tags them in it, leave a link back to your Tweet below. The 7 Virtues – Like The 7 Virtues on Facebook, leave a comment about their awesome brand, leave a link back to your comment below. bliss – Like bliss on Facebook, leave a comment about their You ‘Butter’ Watch Out set, leave a link back to your comment below. Woll Diamond (Pangea Direct) – The Pangea website is your best source to both pick up Woll Diamond and find a local retailer. Pin your favourite item from their site and leave a link back to it in the comments below. 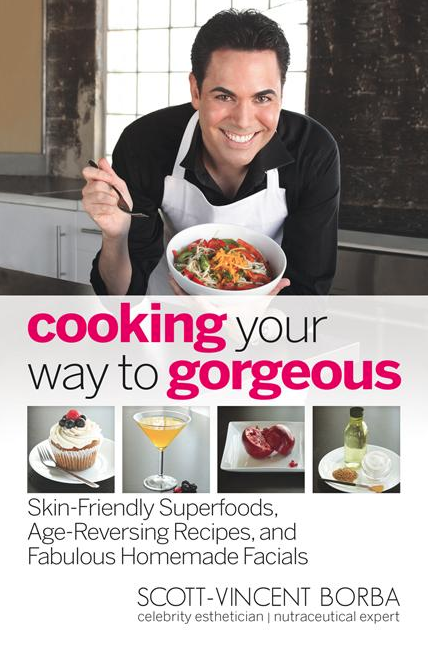 Cooking Your Way To Gorgeous – The publisher of this awesome book is HCI Books. Follow them on Twitter and tag them in a Tweet about why you’d love to read this book! 5) Pinterest Bonus: If you pin all 10 of the gift ideas featured in this post and leave a link back to them (it can be to a single pin board of multiple), you’ll earn 10 extra entries into the giveaway. If you want to pin less, pin less – you’ll earn an entry for every pin! i like the 7 virtues! I would like the Bliss body butters but I really need the Pangea cookware. So, it is a toss up! I would love to get the Heart Bowl – it is sooo cute. I would also love to get the Brushed Satin Belted PJs – they would look so nice of me. 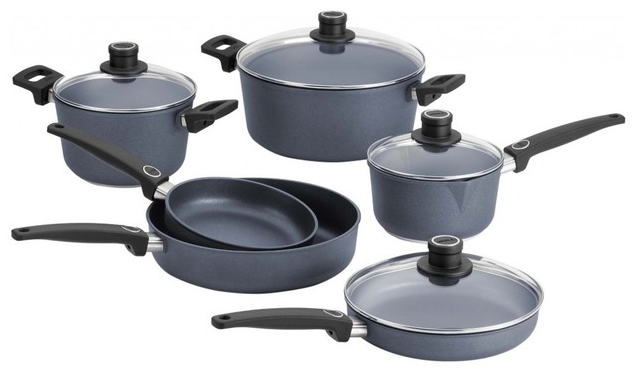 I would also love to get the Woll Diamond Plus Cookware – one for me and one my son who has his own place now. I love your shopping ideas and I love that they are all from Canada. Happy Sunday. 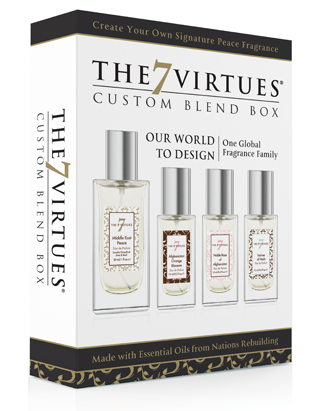 The 7 virtues custom blend box. 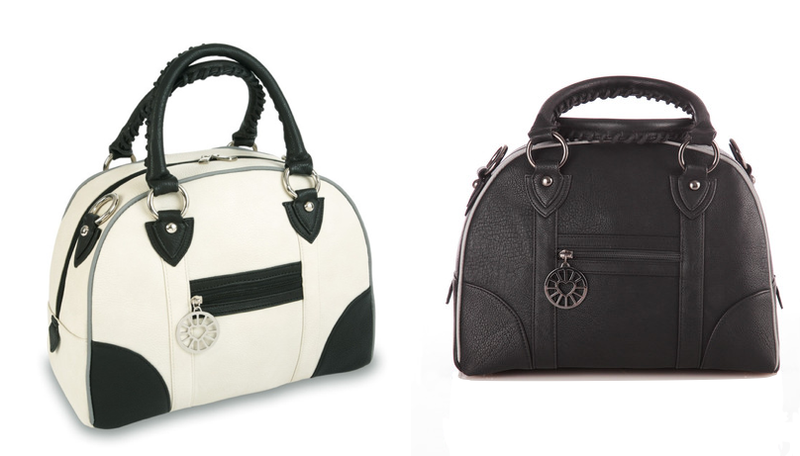 I’d like to give my wife the Guilden Small CarryAll – $135 each @ GiveLoveCycle. @GiveLoveCycle Your bags are The Coolest! The heart bowl would be a perfect gift for my brother’s girlfriend! I’d most love to receive the R.J. Graziano Jewellery. @GiveLoveCycle I'm totally coveting the Guilden Small Carryall!! An early Xmas present to self perhaps 😉 Great idea! I’m coveting the Guilden Small CarryAll & I know my daughter would love to receive it. I’d most like to get the Sephora eyeshadow palette for Christmas. I would love to get the woll diamond plus cookware – it looks amazing. I would love to give or get the GiveLoveCycle Guilden Bag in Bone! The Bliss set looks amazing! I would love to get any piece from the R.J. Graziano collection. Not very glamorous but I would like the Wolf Diamond Plus Cookware. I would most like to gift the GUILDEN SMALL CARRYALL BONE to my daughter. I need the cookware set. I would love to get the Bliss You ‘Butter’ Watch Out Gift Set! 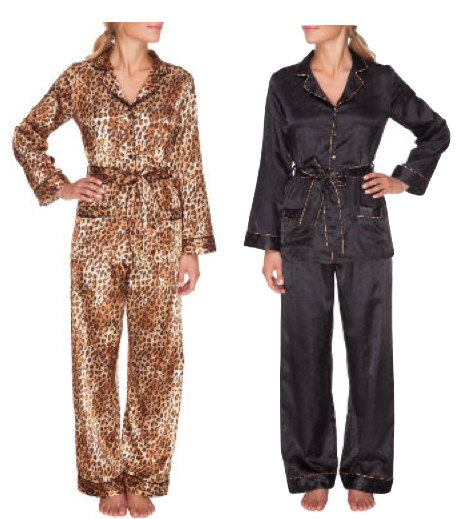 How could anyone not love the Brushed Satin Belted PJs ? Those a box of chocolates and a class of wine , some good music and an evening with nothing to do – those pj’s are super. All the prizes are desirable….but i would really love the Guilden small carryall! I’d absolutely love to get the Heart Bowl from Drake General Store! It’s adorable!! I would like to get the Guilden Small CarryAll. I realy need a new bag and this would be perfect. I’d love to give or receive the cookware!! I would like to leave a fb comment on why I would love to read Cooking your way to gorgeous, I cannot see how to leave a post. My apologies Emilia, I’ve actually updated this to HCI’s Twitter account instead. I really like the R.J. Graziano necklace. You can’t go wrong with practical bags or bling from Graziano. I would LOVE the Woll Diamond Plus Cookware!! @GiveLoveCycle Thanks for the giveaway at @CdnGiftGuide ! @HCI_Books I would love to read Cooking Your Way to Gorgeous…sounds like a fab book! I would like the R.J.Graziano Jewellery as it would make great Christmas gifts. I would most love to get the Guilden Small CarryAll. The Guilden Small CarryAll is my favourite. I would love to get the heart shaped bowl. Proof of Domestic Divahood. And I would love to gift the 7 Virtues box. My sis would love that. @HCI_Books Your Beauty from the inside out book sounds really inspiring and helpful. I follow HCI books on twitter. That’s all the pins. I pinned the collage as well :). I like the book, Cook Your Way Gorgeous, best I think. Tough choice, but I think I’d love to win the bag most of all! Would most like to get the seven virtues. I’d love to try the woll diamond cookware. i’d love to win the cookware! I would most like to get the Brushed Satin Belted PJs. Would just love to wear those! I would like the Woll Diamond Plus cookware. 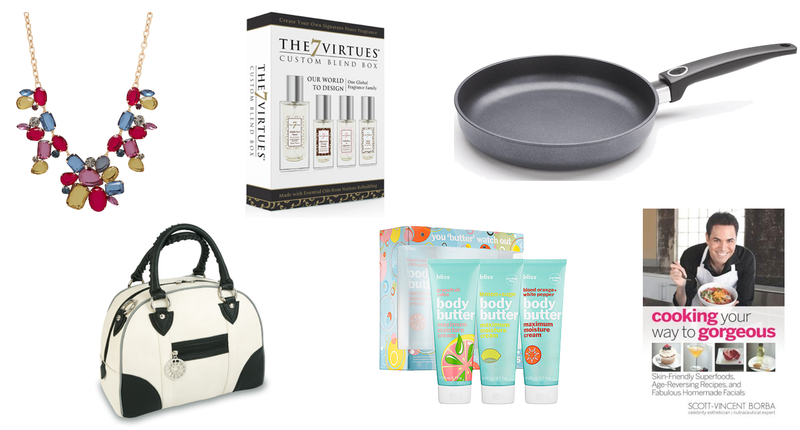 I love to wear fragrance – the 7 Virtues gift box would be my number 1 pick. I would really like the necklace, very nice!! Thank you for this great contest! !Liked and shared on facebook!! Hi Carol – I’m sorry but for the bonus entry, this isn’t what I asked for 🙂 You’re going to have to link directly to your Facebook post to earn a bonus entry. Have always wanted to own a pair of satin pj’s but would never indulge myself. But, a gift maybe?? Hint, hint hubby!! Love the Guilden Bag! That’s my fave! Cooking Your Way to Gorgeous by Scott-Vincent Borba. I’ll probably go and buy a bliss You ‘Butter’ Watch Out gift set to give this Christmas! I think the laura mercer artist’s palette for eyes is a great gift to give and receive! I would love to give the heart bowl to my best friend. I love the Guilden CarryAll! I would LOVE the Bliss You ‘Butter’ Watch Out Gift Set! I’ve been obsessed with their facewash & lemon body butter ever since we spent a week at the W in New Orleans! Wow – amazing gift ideas above!! I would like to gift and get the Heart Bowl – $55 @ Drake General Store. How unique and cute is that heart shaped bowl!? I love it! I’d most like to receive The 7 Virtues Custom Blend Box! Sounds interesting to be able to create your own scent from these oils. @HCI_Books "Cooking Your Way To Gorgeous" is a book I'd like to read – maybe it can help! Sounds interesting. Cheers. The heart bowl is sooo cute!! I’d love some Bliss body butter! I Liked and commented on the Bliss Facebook page. I would love to gift the Laura Mercier Artist’s Palette to my Mom! She definitely needs an update to her makeup look! Thanks! That purse is to die for….I would LOVE it! Of these amazing gift ideas I would most like to get the “Guilden Small CarryAll – $135 each @ GiveLoveCycle” … biking made stylish! My daughter just moved into a new home and I think the Woll Diamond Cookware would be a great house warming gift. I would love the bliss – you “butter” watch out set! I would love the brushed satin pj’s from La Vie En Rose. I would most like to gift my mom with the Woll Diamond Cookware as she has been using the same set of cookware for almost 60 years! Laura Mercier Artist’s Palette for Eyes! I’ve wanted this for myself for awhile. I would love to give my mom the Heart Shaped Bowl! Love the GiveLoveCycle Guilden Bag in Bone. would love the Guilden Carry all! I would choose the 7 Virtues Custom Blend Box. I like to support Canadian companies and Fair Trade. I would love to receive the Woll Diamond cookware. Definitely the Gilden Carry-All… She LOVES bags! I would love to gift the Heart Bowl because if I received this as a gift myself, I would think it is so sweet! The recipient will feel very loved! I like the purses and the eye make up. for my mom I’d pick the Nora Ephron book. I’d most like the Guilden small carryall because it would be just the right size for me! I’d love the body butter for sure! I really want the 7 Virtues set. Oh my gosh.. this list rocks. OK, I am obviously behind on my shopping. Love the 7 Virtues set, and while I would love it for myself, mom deserves it much more. Stunning necklace from RJ Graziano, I would love it! my mother would love the cook ware set for Christmas!!! that R.J. Graziano necklace is amaaaazing!